last climactic scenes in the holy shrines of Medina and Mecca--but also the intricate politics and amazing complexity of the entire pilgrimage experience. He pays special heed to the effects of Saudi bureaucratic control over the Hajj, to the ways that faith itself becomes a lucrative source of commerce for the Arabian kingdom, and to the Wahhabi inflections of the basic Muslim message. nbsp; Here, too, is a poignant discussion of the inner voyage that pilgrimage can mean to those who embark on it: the transformed sense of daily life, of worship, and of political engagement. Hammoudi acknowledges that he was spurred to reconsider his own ideas about faith, gesture, community, and nationality in unanticipated ways. 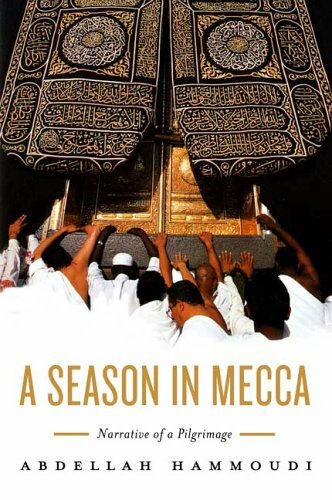 This is a remarkable work of literature about both the outer forms and the inner meanings of Islam today.